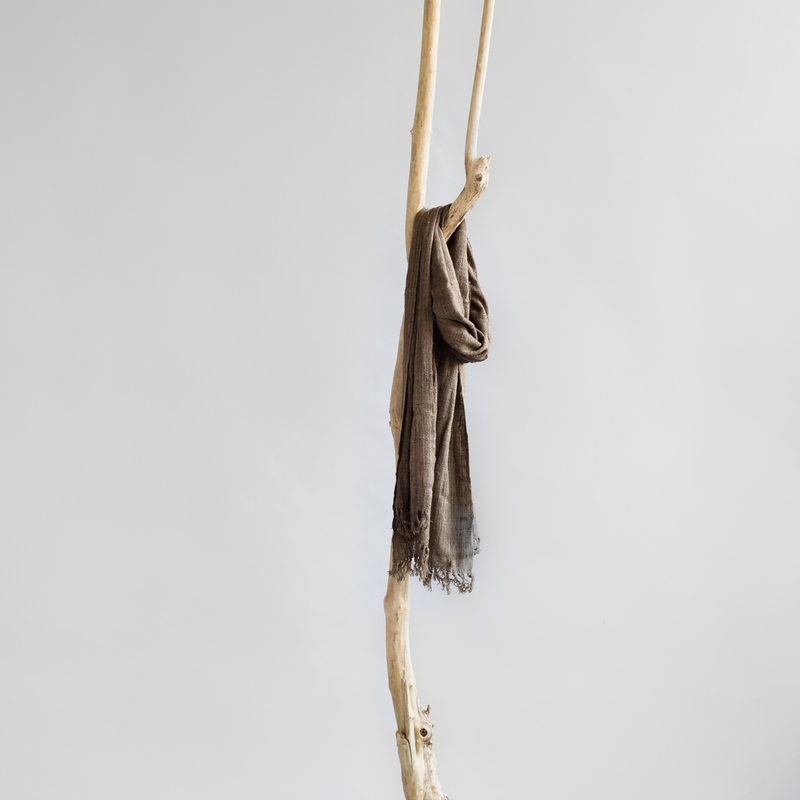 Robust naturally dyed wild silk scarf made in Madagascar. Ny Tanintsika, a conservation organisation in Madagascar, supports villagers in the south of the African island. By preserving the Tapia woods the artisans in the south are able to continue to find wild silk cocoons. 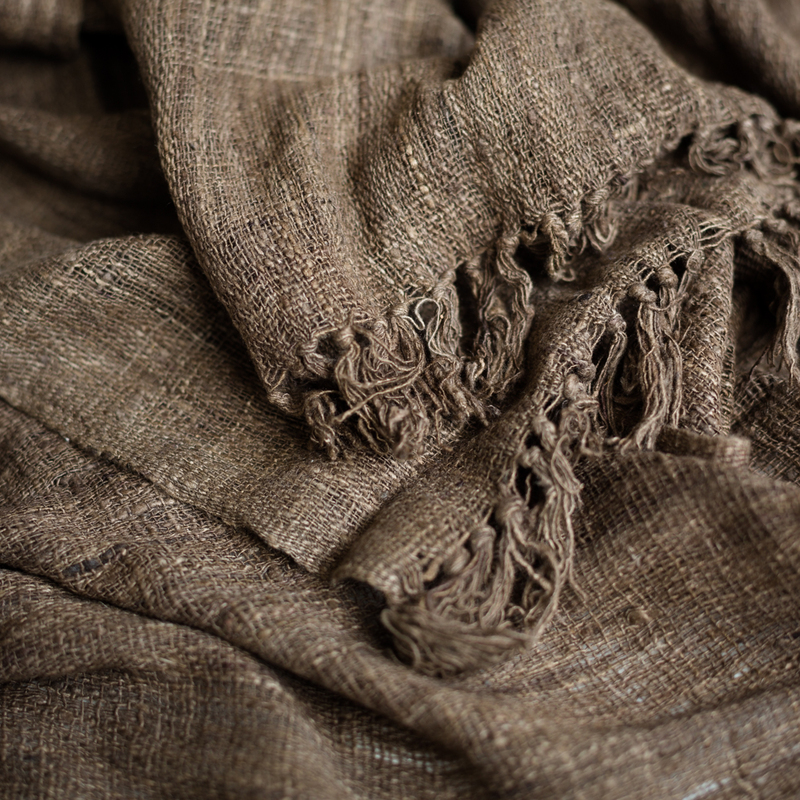 This naturally dyed scarf is handwoven by some of the women artisans.